Free business and marketing advice from a company designed to help your business. Find out what TeleCapture can do for you. Have you caught World Cup fever? Once you’ve clearly and concisely set goals, follow through on them. Make sure you revisit them annually to make sure you’re on track, and don’t be afraid to adjust your goals when necessary. 2. Listen to the coach. As the owner or manager of your company, this may sound a little funny to you---after all, aren’t you in charge? Exactly! You’re the coach, which means you are responsible for coming up with a game plan, conditioning, training, and ultimately, executing a win. In December, the U.S. Mens Soccer Team Head Coach Jurgen Klinnsman had this to say about his team: “We cannot win this World Cup, because we are not at that level yet. For us, we have to play the game of our lives seven times to win the tournament." Sounds pretty harsh, right? This article contends that that Jurgen’s brand of coaching is exactly what the team needs. How does that relate to business? It means everything starts with you. Despite what Klinsmann said about his own team, he obviously believes they have the potential and capacity to win on a big scale. Whether you’re frankly pragmatic, like Klinsmann, or more optimistic, the tone and expectations you set for your team will direct your success or failure (yet another reason we think it’s imperative to set goals from the top down). When USMNT defender John Brooks scored the winning goal in the United States’ game against Ghana, being a “backup” didn’t matter. Brooks actually became the first U.S. MNT substitute to score a goal in a FIFA World Cup, but what really mattered was that, in the 86th minute, Brooks’ goal was on target. Clenching a win against Ghana secured the U.S. team a win. Like Brooks’ last-minute goal, a backup in business can come out of nowhere and help your business win big, too. With call tracking, you can have a backup always there to help you track calls across the U.S. without having to deal with your phone company. With call tracking, you won’t have to scratch your head wondering how your advertising campaigns are doing (and why they are or are not wins for your company). If you think that sounds good, but want even more insight into customer phone calls, we can record each call, too, so you can review them to help your team close more business. So, whether you have been a diehard fan for years or are just dipping your toes into the world of (the other) football, enjoy the tournament! And then, take these tips back to the office and see what a difference they will make for your team. Would it feel weird to you to if you called an 800 number to order a pizza? Or dialed 1-800-HAIRCUT to schedule a trim? What about calling toll-free to a store a few miles away to see what time it opens? At first blush, you might think not think much of it. But, when you start to dial that number, you might start to wonder, "why aren’t I calling a local number for a local service?" Guess what? Your customers feel the same way! If your company has satellite offices, you probably need more than a toll-free number. Because looking local to your customers is important to them, it should matter to you, too! Here’s why companies with multiple locations should invest in local business numbers for each of their offices. 1. You’re part of the community. 2. Your customers trust you; you’re not just an outsider. Face it, not all potential customers trust the idea of a company who isn’t “from around here.” No matter how well you serve your customers, research shows that, among businesses who use both local and toll-free numbers in yellow page listings, the local numbers bring in upwards of 68 percent more leads. That’s a lot of leads! Maybe it’s sentimentality, maybe it’s because a local number is associated with close ties, or maybe it’s just because there are still a lot of people who haven’t bought in to the idea of not having brick-and-mortar store to do business at, but what’s local is golden. If your company has multiple locations, numbers pinpointed to each office can give you an advantage over toll-free-only competitors. 4. You can add numbers for each location. As your company reaches its growth goals, you’ll be able to connect as many additional local numbers as you need in as many locations as you need. For example, consider Dr. Clean, our favorite dentist. He’s got a main practice as well as a satellite office about an hour away. Though only about 70 miles apart, his satellite office is located in a different time zone and is on the state border, and the closest town, where most of his patients live, is actually in the bordering state. When Dr. Clean established his second office, he chose to add a number local to the town his patients live in. He wanted his patients to understand from the minute they called to schedule their appointments that he was their local dentist, even though his main office was in a different town. That way, he could avoid the misperception that patients would have to travel to a different city (in a different area code) for their care. 5. You can still have your 800-number, too. Of course, your business may need and benefit from a toll-free number, too. We think you should have all the tools you need to help your business succeed, so you get both. By pairing local and toll-free numbers, you can maximize your reach and your target audience. From a customer service standpoint, it makes sense, doesn’t it? Looking local is also easy to implement. Through number routing, companies with multiple locations can easily establish several local business numbers (and toll-free numbers, too!). Then, once you’ve established your numbers, you can track and measure your business to see where business is booming and where you may need to make adjustments. With that information, you’ll be able to identify what really makes your phone ring (and you’ll be adding more numbers in no time!). Have we convinced you yet? You can pick your number here, or, give us a call or contact us to if you need a little more information. Happy New Year! Your account has been compromised, and your personal information, including your phone number, has been exploited; your data may be sold to the highest bidder for whatever purposes he or she desires. "Hackers appear to have posted account info for 4.6 million users of quickie social-sharing app Snapchat, making usernames and at least partial phone numbers available for download...Â In the statement, the hackers said they blurred the last two digits of the phone numbers they posted but were still considering whether to post more with the full number visible." Many people have the same username for multiple platforms, including email and banking accounts, Levin says. Once a hacker or fraudster gets a hold of your user name, you can be fished or spear fished by being targeted via email, or even text-fished, by phone. As Levin said, once your information is hacked, you're not only at risk via email, but by phone, too. Can you imagine what might happen if your phone number were to get in to the wrong hands? Not only could your phone number be free game for annoying sales calls, but, more importantly, your personal information be exposed, putting you at risk for identity theft. Knowing this, you'd definitely want to change it, and when was the last time you switched phone numbers? I bet it's been years---maybe even decades. Imagine the inconvenience of Â trying to contact a decade's worth of people---your friends, family, business contacts and acquaintances---just to say "here's my new number!" So what can you do to avoid compromising your legitimate phone number without having to sacrifice your real life? Get a throw away phone number! Consider it the phone compliment to creating an email address specifically for the nonessential stuff. Instead of keeping your most important correspondence with your junk email, you probably send the junk to a different location. The idea behind a throw away phone number is the same---you can conduct your non-essential work (or play) on a number that isn't connected to the important stuff. A throw away phone number doesn't have the associations your primary number does. This number acts as a mask that protects your "real" information while still letting you make and receive the calls and texts you want to, keeping your information secure. It's easy to stay connected to friends and acquaintances with a throw away phone number. You don't have to give up your social life, but you don't have to put your privacy at risk either. You can use this number for blind dates; as a "club phone number," for handing out to people you don't know (and maybe don't to! ); for Craigslist buying and selling;Â and, yes, for social media apps like Snapchat! Throw away phone numbers are cheap!Â You don't have to worry about signing contracts or committing to your number for longer than you want. If your needs change, you can get rid of the number. When it comes down to it, it just makes sense to have a throw away phone number for personal use. You can contact us to set up your number today! P.S. If you use Snapchat and want to know if your account might have been compromised, you can look up your phone number here. The things I’ve bought and sold on Craigslist reads like a veritable Christmas list: guitar amp, video game system, vintage toy collection, several board games, assorted furniture; it seems like if you're looking for (or looking to get rid of) something, you can eventually do it on Craigslist. Whether it’s locating that hard-to-find item at an unbelievable price or making a handful of cash from something that was gathering dust in the basement, every transaction I make through the website leaves me with a smile on my face and the belief that Craigslist is one of the coolest things on the internet. But there is a darker side to Craigslist that all buyers and sellers need to be aware of: some Craigslist creepers are looking to scam you, steal from you and possibly even bring harm to you. That may sound alarmist, but a quick Google search returns story after story of users who find themselves in the midst of annoying, and even unsafe, situations. The reality of what lurks online can be frightening, but guess what? You don’t have to close the website, shut down your computer, close your curtains and keep storing your dust-collecting stuff in your basement! A few common and not-so-common sense precautions can make your Craigslist experiences both safe and profitable. The first and best way to protect yourself from Craigslist scammers is by eliminating any chance of them knowing who you are. Kent Davidson’s blog post does an excellent job summarizing how and why you should keep your private information off Craigslist. He recommends that the first step you should take is to use the remailer option when creating as well as when responding to advertisements. Keep your personal email out of strangers’ hands by following his advice, and you won’t have to worry about random spamming or having your email address mass-mailed to a stranger’s 500 email contacts. Also, in your ad and/or response, don’t share any private, personal information. Things like not sharing your address and full name are no-brainers, right? But you should also be cautious of sharing your phone number on Craigslist! Automated phishing tools can easily collect your number, and scammers search specifically for this kind of information. Spelling out the digits of your phone number on Craigslist doesn’t protect you, either; what if you give your (spelled out) number to some unscrupulous buyer who doesn’t like the product after the transaction? That person can now use your phone number to harass you, and if your number is a landline, they can even locate you. In most situations, you have to provide a contact phone number, so the best solution is to put a unique number in your Craigslist postings that won’t get trolled later. This number acts as a mask that protects your real information from Craigslist creeps but still gets you the calls, so you can buy and sell without worry. It’s both convenient and easy to set up your unique number with TeleCapture, too. Make it difficult for someone to take advantage of you. As much as possible, arrange meetings in a familiar, well-lit, busy public locations. When at all possible, avoid meeting at your home or business, and avoid meeting at night. This post on Craigslist safety suggests using an app like BuddyGuard to keep you a bit safer, too. Finally, trust your instincts. Don’t do business with someone who makes you feel uncomfortable or who pressures you, and always bring someone else along. It’s way too easy to get scammed with checks, money wires, and other fake payments. Cash is king! For small purchases, insist on cash only. If you’re buying a larger item, Paypal is recommended as a safer resource that requires only an email address. Where money and strangers are involved, it’s so important to keep yourself safe, so keep the above tips in mind, too. Remember, it's better to be safe than sorry. These tips will help protect you and keep your money secure when you find that awesome deal or decide it’s time to sell that antique pinball machine that hasn’t been used in decades. It only makes sense to do everything you can to protect your privacy online, so contact us to find out more about getting a unique number for your Craigslist buying and selling. Let us know... what’s the craziest thing you’ve bought or sold on Craigslist? Can I Keep My Phone Number If I Drop My Home Phone? What’s the most recognizable phone number you can think of? "When we'd first get calls at 2 or 3 in the morning, my husband would answer the phone. He can't hear too well. They'd ask for Jenny and he'd say 'Jimmy doesn't live here anymore.'... Tommy Tutone was the one who had the record. I'd like to get hold of his neck and choke him." Thankfully, most people don’t have the Burns’ problem. In fact, the number of residential land lines has plummeted in the last decade; when the song 867-5309 was released in 1981, virtually every household in the United States had at least one land line. In 2012, a CDC study concluded that 38.5 percent of Americans don’t have a land line and use only their cell phones, and another 15.9 percent people, who have both a land line and cell phone don’t use their land lines. More than half of Americans don’t have or use their home phone numbers! The trend lines show that residential consumers will continue to drop their land lines in favor of cellular devices; technology researchers estimate that by 2016 the number of wireless-only households could climb to 50.8 million. Those numbers may not come as a surprise to you, but maybe you’re on the fence about whether you should drop your home phone number. You’re not alone. Dropping your home phone is a big decision. If you are on the fence about cutting the cord, it makes sense to look at the pros and cons of having a land line phone number. Pro: You could stand to save quite a bit of money if you drop your home phone. If you already have and use a cell phone, you should take a look at the costs of your land line. Consider whether bundling your internet, phone and TV (or some combination thereof) is a savings or leaves you with services you hardly use. Con: Not all cell phone plans are cheaper than land lines and bundles they are included in, especially if you use your home phone regularly. Pro: You can do almost everything you do on your home phone on a cell phone. Keep in touch with family and friends, order a pizza, etc. Most cellular technology allows a lot more than phone calls, providing internet, video chat, and so much more. Con (and this is a big one): In some places, cellular phone reception is not reliable enough to use in case of emergency. In fact, at my own home, a land line is a necessity because there isn’t strong enough signal to rely on reliable 911 service if I call from my cell phone. Similarly, if you don’t have reliable cell phone reception at your home, you may opt to keep your land line. This is especially true for business and errand calls, when video chat or text messages won’t suffice. There's one more, final hesitation many people have. This is the big one. The sticking point: the thought of losing their home phone numbers along with their land lines. For many people, their home phone numbers are as much of their adult identities as their names or addresses. Losing it would be weird. Confusing. Stressful. How in the world could they notify everybody of the change of number? It’s not as simple as a change of address form. In fact, it’s enough to make most people stop cold in their tracks, even if they could potentially save a lot of hard-earned money by dropping their home phone number. Guess what? There is a way. If you decide to drop your home phone line, you can keep your phone number. Yes, really! You don’t have to worry about losing the phone number you’ve had for 5 or 65 years, and it is a simple process that won’t cost you an arm and a leg. So, don’t let the thought of losing your phone number and the headache that comes along with getting a new number stop you from making a move that might save you money and eliminate something that’s not really adding any value to your life. Get started by live-chatting with a representative on the TeleCapture website, or drop us a line here. 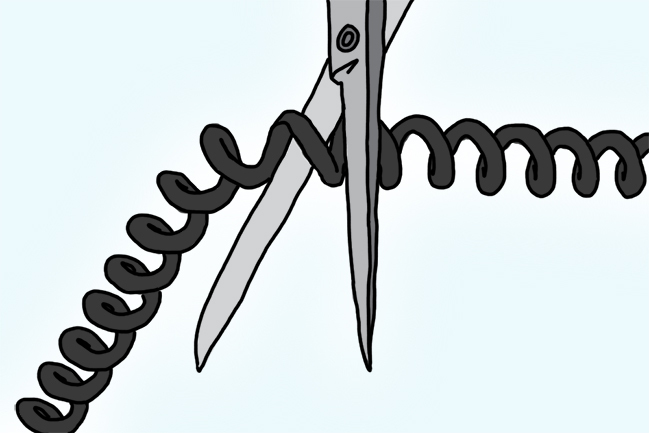 In the mean time, tell us: have you cut the cord from your land line? How did the process go for you? What Is A Call Tracking Number & Why Should I Care? Would you mail a valuable package without a tracking number? I know I wouldn't. If I can know where it is, when it's going to get there, (and, if I sold something on eBay, when I can get my money), I'm willing to fork out a few extra cents for the tracking option. All those details are valuable to me. They put me at ease and help me plan for the future. So, let's switch gears a little... what about your advertising dollars? Are they valuable? Then I guess the real question is, why wouldn't you track those dollars to see where they're going? 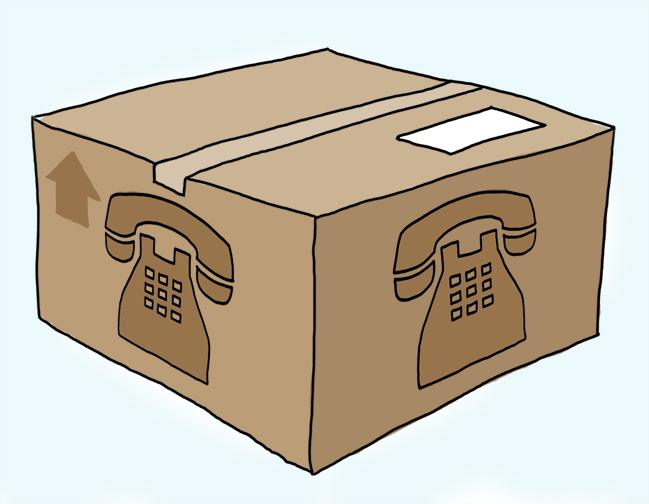 So, what is a call tracking number? Simply put? A "call tracking number" is a unique local or toll-free phone number that you can use to help you determine the return on investment (ROI) that you're getting from your advertising. It forwards to your regular business phone number, so when people call they're getting your business on the other end. Dr. Clean is a dentist who's planning to put advertisements for his dental practice on the radio, in the local newspaper and on television. He's a really smart guy, which means he knows he doesn't want to waste money on useless ads. So he buys three different phone numbers (that all forward to his office phone) to use as call tracking numbers for the ads: one for the radio spot, one for the newspaper ad, and one for the television commercial. After a few weeks of advertising through all three venues, he checks to see which phone numbers have been called the most. Turns out, the phone numbers he put on the newspaper and television ads haven't been getting many calls, which means it's not really worth the money he's using to advertise there. However, the phone number on the radio spots is getting a ton of calls! Now that he knows that information, Dr. Clean decides to pull his newspaper and television ads, and put all his advertising money into radio spots. But his call tracking efforts definitely aren't over. Now Dr. Clean wants to know what the best time is for his radio spots to play: early morning, lunchtime, or late at night. So he uses three different phone numbers in three different radio spots to test that out. Dr. Clean knows his stuff. He understands the number one reason he should care about call tracking numbers: it keeps you from wasting your hard-earned money on advertising that's not working. That's the genius of call tracking: it allows you to refine your advertising, so you know each and every one of your dollars is being spent effectively. And it doesn't stop with radio, tv and newspaper ads. You can use call tracking numbers on anything... even online. Jeff Bullas, well-known Social Media Marketing Blogger, Strategist & Speaker, says that the often forgotten ingredient in measuring your content marketing online is a call tracking tool. Call tracking tools enable you to include unique trackable phone numbers in your downloadable and printed content, videos, trade show presentations, emails, ads, and direct mail blasts to measure the calls they generate. Even if a lead visits your web site before calling you, call tracking tools can still tell you how that caller found your site and the web page or blog posts they called from. Start knowing exactly what makes your phoneÂ ring. Don't have a call tracking number yet? TeleCapture can help you with that. You can get started in less than 60 seconds. Have Call Tracking Numbers. Will Travel. It's hard to imagine a more common marketing tool for small business than the humble business card. As a small business owner, you probably hand these little puppies out like candy to everyone you meet. You've probably found yourself pinning your business cards to bulletin boards at the grocery store, or giving a few to the stylist at your hair salon, or subtly slipping them into birthday cards for your family. (Well, that may be a little extreme, but humor me for a second.) Why do you give them out so much? Because you're serious about getting the word out about your amazing business, right? Have you ever wondered if all of that effort is paying off? I mean, sure it's fun to hand out your cards all willy-nilly, but wouldn't it be amazing when you get a customer call to be able to see that it was a result of your hand-to-hand marketing efforts? If you're like me, you have your website address on your business card. That's fantastic because it helps you with branding. But, what if you put a QR code on the back of your business card that takes the user to a specific, private page on your website where you have a video welcome, or some cool little intro to yourself? That's super cool, and it would be helpful for you to know how often people access that information. For bonus points, you can create a page with a form where the user can give you their email or phone number and download something that they would find helpful. But let's be honest. The most frequent action that people take with your business card is to pick up their business and give you call. So, how are you going to measure that? Yep. You guessed it. Call tracking numbers. Instead of putting your main business number on your business card, pick up a local call tracking number and put it on there instead. Then, when they call, your call tracking service will register the call. When you're ready to see how your business card effectiveness is doing, you can log in and take a look. Bonus tip: When you're ready to increase response, consider using the back of your business card for a special call to action or teaser headline that will make you stand out more in customer's minds. It's a cross between branding and action-based marketing. If you like that idea, why not create several different calls to action? Companies like moo.com make creating beautiful and customizable business cards fun! If you decide to go to a trade show or some special event, why not get a special business card printed up with a unique phone tracking number on it as well and measure the effectiveness of your efforts? When it comes to marketing, you want to measure each campaign's effectiveness as much as possible. While chatting on our company Twitter account recently, I happened to come across one of our competitors, and out of curiosity took a peek at their page. To my surprise, there was a link to not one, but two Twitter accounts for the same business. As it turned out, one account was active for the sole purpose of providing updates as to whether or not their lines were experiencing problems that day and would be in working order for their customers. When you purchase a product you generally anticipate it's going to work. When the product happens to be the phone lines that bring leads into your business, there should never be any period of time when it is out of order. 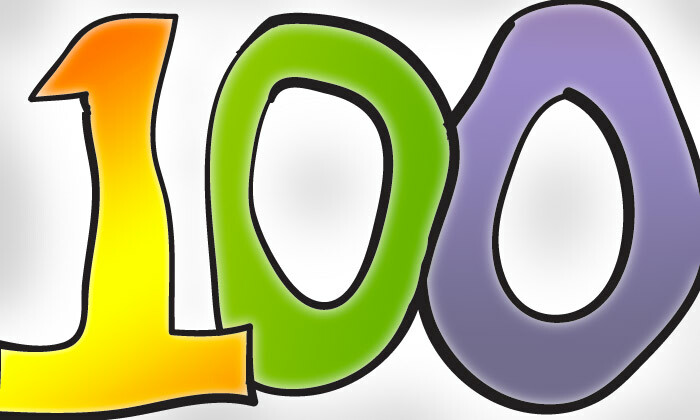 It is vital that your phone lines are up and running 100 percent of the time. One “down day” equals loss for your business, and being notified via Twitter of an outage or problem doesn’t put those dollars back in your pocket. I'm proud to say that TeleCapture lines are tested daily to ensure your account is in full functioning order at all times. There is no need for us to have a dedicated Twitter account for alerting customers of outages, because all our servers are backed up and employ multiple termination carriers as well as redundant server based operations. Additionally, TeleCapture employs a 24/7 customer support team to handle any troubleshooting or assistance you may need while using our service. Now that's 100% peace of mind.